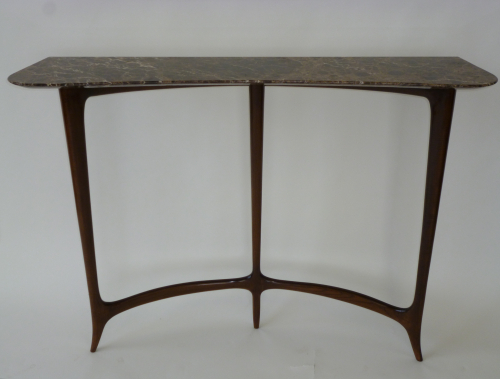 Console table in the style of Guglielmo Ulrich, Italy, 1940`s. Stained ash base and Marron marble top. Fully restored and in perfect condition.